Today I am bringing to you guys another video featuring the Pur Cosmetics Velvet Matte Liquid Lipsticks and Chrome Glaze High Shine Glosses. I am a huge fan of this beauty brand and so much of their stuff, from make-up to skin care, everything is top quality. So I was super excited to have received this package from them. I am totally loving all 12 shades (6 matte & 6 Glosses) and can't wait to wear them all. To hear my thoughts on these lippies and see all 12 shades, make sure to check out my video! Also don't forget to like, comment and subscribe! 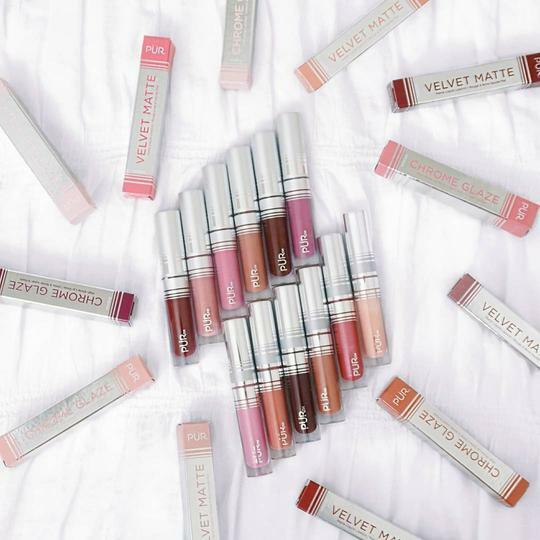 Are you a Matte Girl or a Glossy Girl? Thanks for reading!